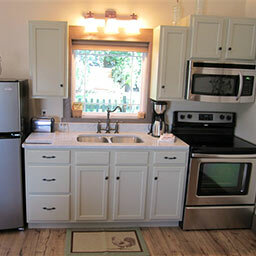 For those who want be right in the heart of everything, we offer the Berlin Cottages in Berlin, Ohio’s amish country! Conveniently located in downtown Berlin, these two beautiful cottages add a modern design twist to complement their truly amazing Amish craftsmanship. 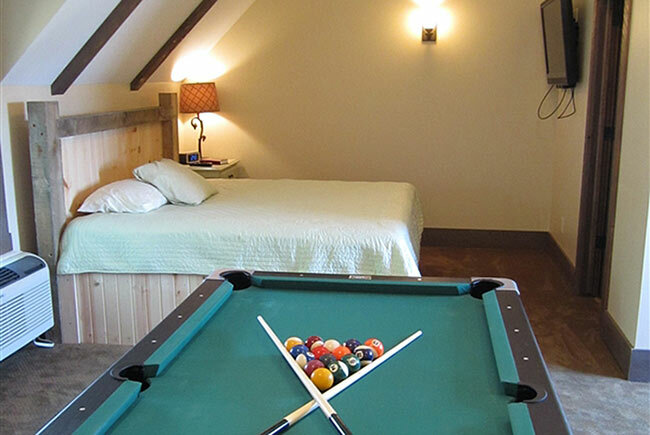 Both cottages offer two bedrooms and two bathrooms, ideal for guests traveling together. Located right on Main Street in Berlin, you are only steps to the shops, restaurants and artisans that Berlin Ohio’s Amish Country is famous for. An ideal downtown location brought to you by Amish Country Lodging! View our policies. These Amish Country Ohio cottages are located directly on Berlin's Main Street which is State Route 39 & US 62. 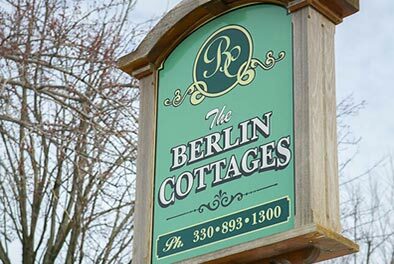 The Berlin Cottages are three buildings away from the Square in Berlin. We are caddy cornered to the Sol's Exchange gift shop. We have the only white roof building in downtown Berlin. The sign out front reads "Berlin Cottages." The Village Dreams Cottage faces Main Street while the Country Bliss Cottage faces the back of the property. We have a private parking lot at the rear of the property and on street parking is also offered. Take SR 161 East to New Albany.